At Truston, our goal is to be a leading global asset management firm specializing in Asian financial markets. We hope to achieve this goal through our enduring commitment to excellence. It is a commitment that extends across all that we do, from investment management to client servicing. 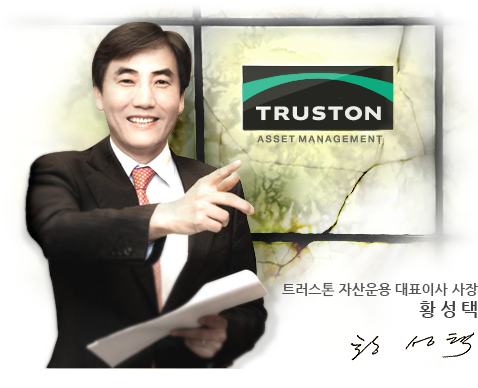 Truston aspires to be a global asset management company based in Asia rather than limiting ourselves to being a domestic player in Korea. In 2007 we opened a subsidiary in Singapore to manage hedge funds for global investors as well as reinforce our pan-Asian research capabilities. We are now in the process of relocating the office to Hong Kong. Unlike most asset management firms, we are not part of the race to grow assets under management. Instead, our focus is on the quality of our investors. Our investors are much more important to us than the total amount of investment. Our business philosophy of forming lasting relationships with partners of the highest caliber is in line with our investment philosophy. At the same time, we take corporate social responsibility seriously. Truston is continuously contributes to society as we grow.